Could You be Allergic to Gluten? 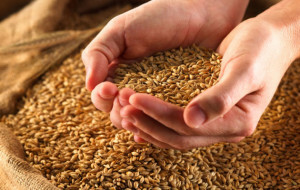 Do you feel terribly ill after eating a meal that contains wheat, rye and barley? If you do, you may have an allergy to gluten. Gluten is a protein found in these grains that some people are allergic to. If you have an allergy to gluten you could have a severe reaction during digestion in the small intestine. An allergic reaction to gluten could cause you to have chronic fatigue syndrome. You might also have severe intestinal gas, abdominal cramping, constipation, and diarrhea. Other symptoms of a gluten allergy are ulcers in the mouth, weight loss, diverticulitis, anemia and a host of other symptoms, such as asthma, behavioral problems and autism. If you don’t have an allergy to gluten, you probably know someone who does, because approximately 1 in 167 children and 1 in 111 adults have a gluten allergy. If you have a gluten allergy, you have to be careful of so many foods and condiments. You might think that you only have to be aware of breads made of wheat, barley or rye, but the truth is you have to be aware that cakes, cereals, breads, biscuits, pastas, mayonnaise, malt vinegar, mustard, beer and whiskey all have gluten in them. You also need to be aware that potato chips and other snack foods may also have gluten in them. You may also be exposed to gluten when you eat soups and sauces. Certain cooking oils may also have gluten in them. You might be scratching your head and wonder what you can eat and not suffer from an allergy to gluten. Most people who have an allergy to gluten were diagnosed as children, because it shows up in childhood. Adults who develop a gluten allergy have what is known as celiac disease. Approximately 1 in every 200 people has celiac disease. There is no cure for celiac disease, nor is there a medication to treat an allergy to gluten, except to avoid gluten altogether. You can avoid gluten by eating lots of fresh fruits and vegetables. In order to have gluten free foods, you will likely need to shop in a health food market. Some grocery stores do have some isles dedicated to health food items, including foods without gluten. If you have a gluten allergy, you need to be checked regularly by your health care practitioner, because people who have gluten allergies can develop other health problems, such as diverticulitis, diabetes, reproductive issues, iron deficiency anemia and other problems. An allergy to gluten can cause injury to your small intestine; therefore, it is important that you maintain a gluten free diet to remain healthy and free of symptoms. It isn’t easy to change your diet to gluten free, because so many foods have gluten in them. You should consult with a nutritionist about how to live a gluten free life. Though your food choices may be limited, you may be able to eat oat products. However, you should know that oats are not risk free. Some people with gluten allergies can eat small amounts of pure oats. Most doctors want you to wait at least 6 months on a gluten free diet before trying to eat small quantities of oats. One of the biggest problems with oats is that during their processing they might be contaminated with wheat. The foods that are safe to eat on a gluten free diet are fresh meats, poultry and fish. You will not be able to eat those frozen prepared meats and fish that are breaded. You won’t be able to eat restaurant foods that are breaded, unless they are breaded and cooked with gluten free ingredients. Other foods that are safe for gluten free diets are most foods in the dairy isle, and fresh fruits and vegetables. You will also be able to eat rice and potatoes. You may eat flours made of rice, soy, potato and corn. To live a gluten free life, you will need to avoid pasta, breads, cereals, crackers, croutons, cakes, pies, candy, sauces, gravies, processed lunch meats, self-basting turkeys and chickens, salad dressings, soy sauce, cookies. You will also have to avoid certain food additives. 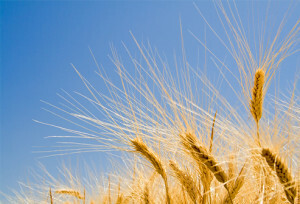 For more information about how to avoid gluten, consult with your physician and nutritionist. Asthma is Controllable, but Can Asthma be Cured?